The server has been down all day for some mysterious reason. I have decided to move the server to another datacenter, hopefully allowing it to come back online, and guess what? It worked! The new server ip is 69.39.239.137:23170, filtering for the ruinz should bring it back up as well. Don’t worry!  all server and player data is unchanged, and your player will still be there. Previous Story Dayz Commander is back!